“Whaaaat!! Why?? ?” To be fair, I was still very sleepy. 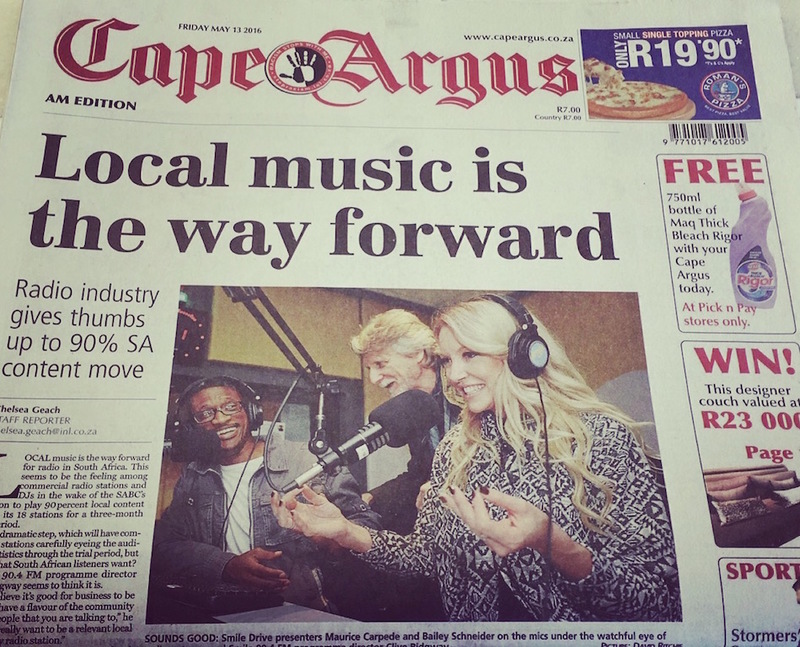 Maurice Carpede, my co-host on the Smile 90.4 FM Drive show, the Programming Director, Clive Ridgeway and I were on the front page of the Cape Argus in the morning edition and again for the afternoon edition. 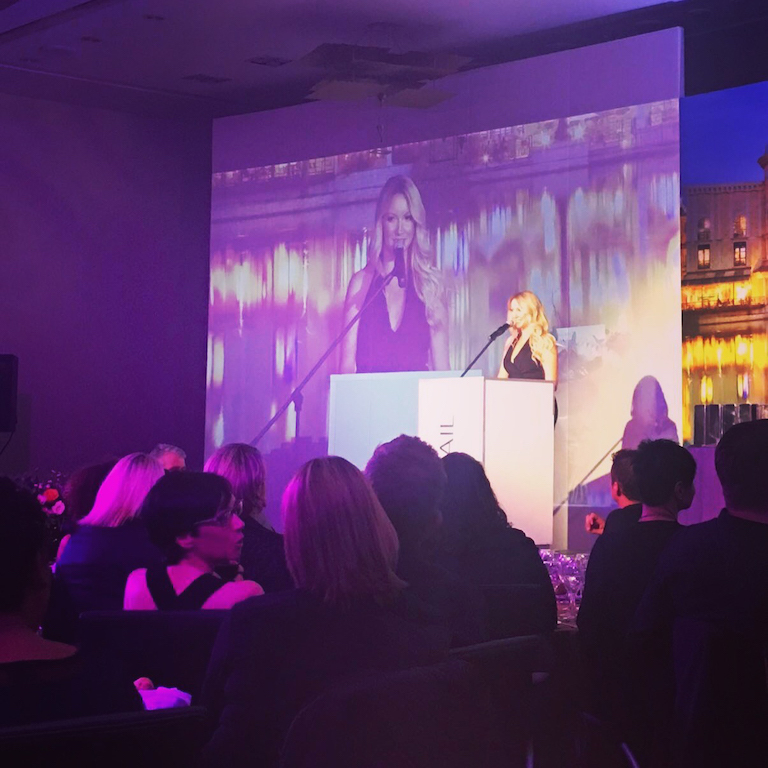 Radio is in a very interesting stage and the SABC announced that their 18 radio stations would now play 90% local music. 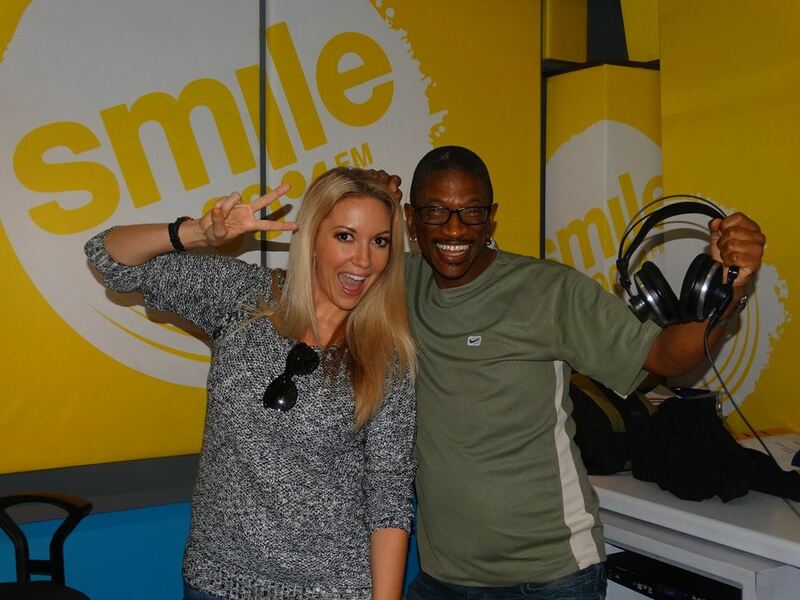 Smile 90.4 FM is not a part of the SABC, but we weighed in with our thoughts and spoke about how we play 50% local music – it’s a great balance. I’m quite fascinated to see how this 3 month trial of the SABC’s unfolds. It’s definitely an interesting time to be a part of broadcasting. After rushing out to buy the newspaper and ensuring I wasn’t on the front page for any scandals, (you never know, Mom! Kidding) I made my way to the Fire and Ice Hotel to shoot for the Expresso Morning. Leigh-Ann Williams, the hilarious Mel Jones and I would be competing in a Burger and Shake competition. No, not an eating competition, but creating the best combination/flavour burger and shake. I’m not going to give anything away until I’m allowed to, but my burger and shake is to die for. I’m so proud of it. 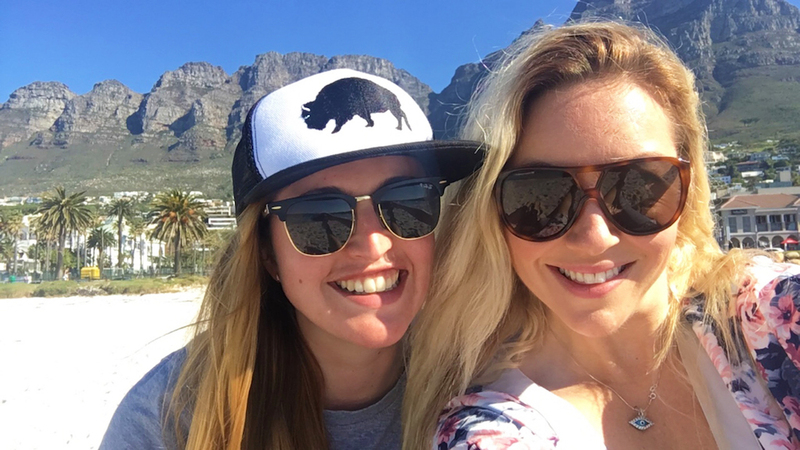 The burger is Banting…the shake, not so much – but it’s definitely worth the cheat! 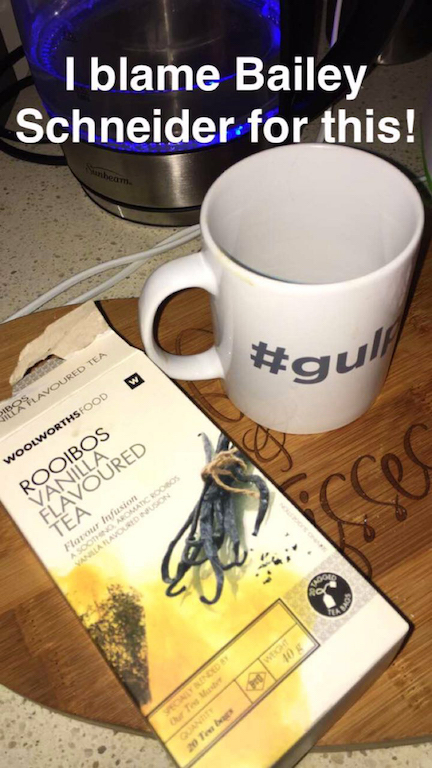 I saw this Snap on Snapchat from IAmSamW … I’ve already told her she has to try normal Vanilla Tea and not the rooibos one. In fact, this pic actually made me stop typing this post to put the kettle on to make a cup! Oh and if you’d like to follow my Snapchat, I’m BaileyVanilla. 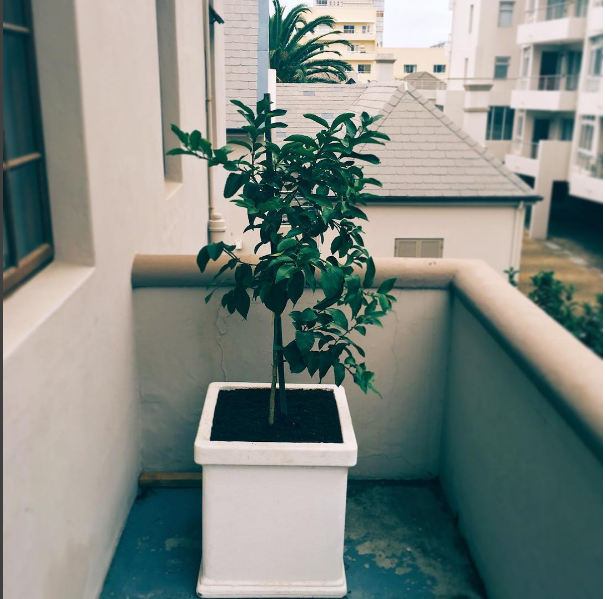 In other news, I’d like you to meet Lucy… Lucy the Lemon Tree. I’m very excited to have her. I do miss having a garden – something that’s very common in Johannesburg. 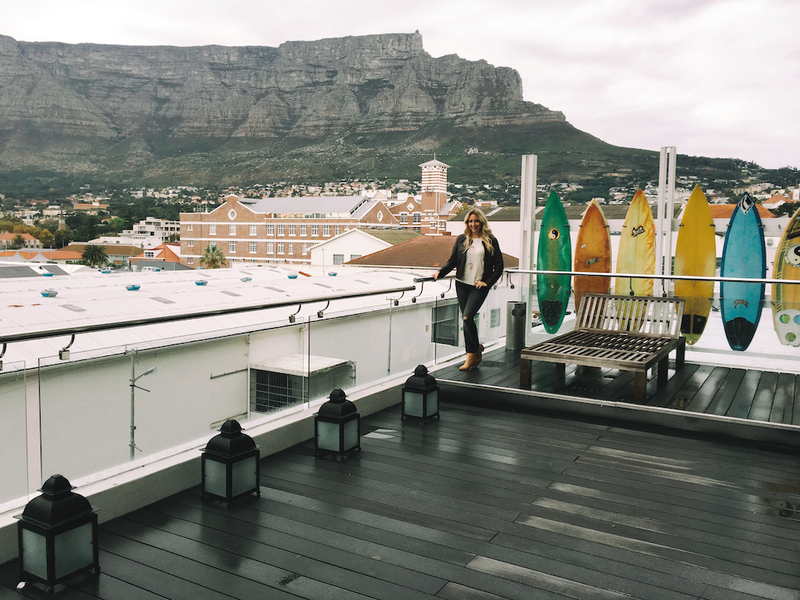 I live in Sea Point, which is generally full of apartments aka balcony gardens. I’m definitely not going to complain when my “backyard” is the Promenade and the ocean. 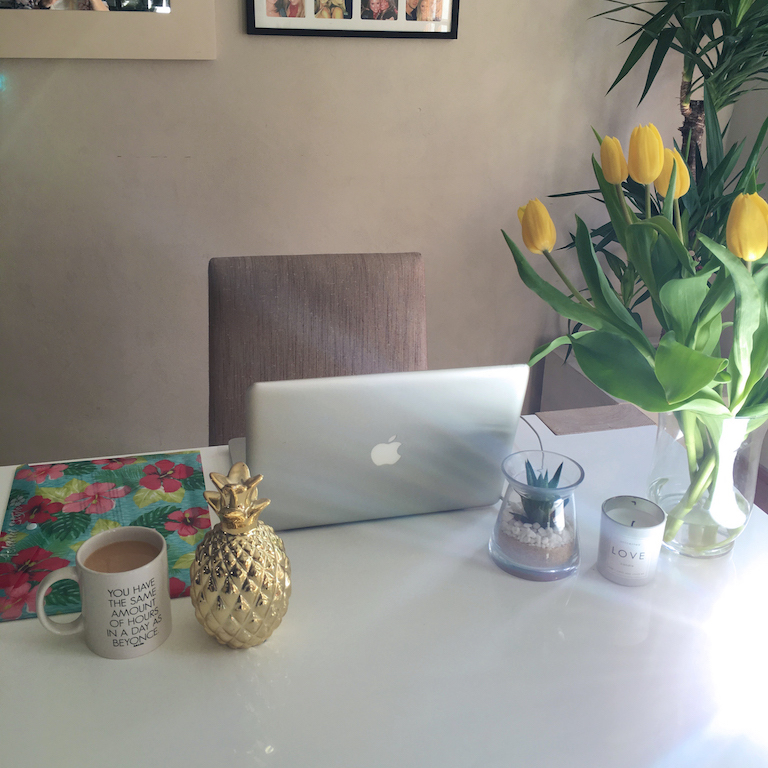 I received the prettiest yellow tulips from Lisa. They really brighten my office at home. Yesterday was glorious and was like a Summers day. 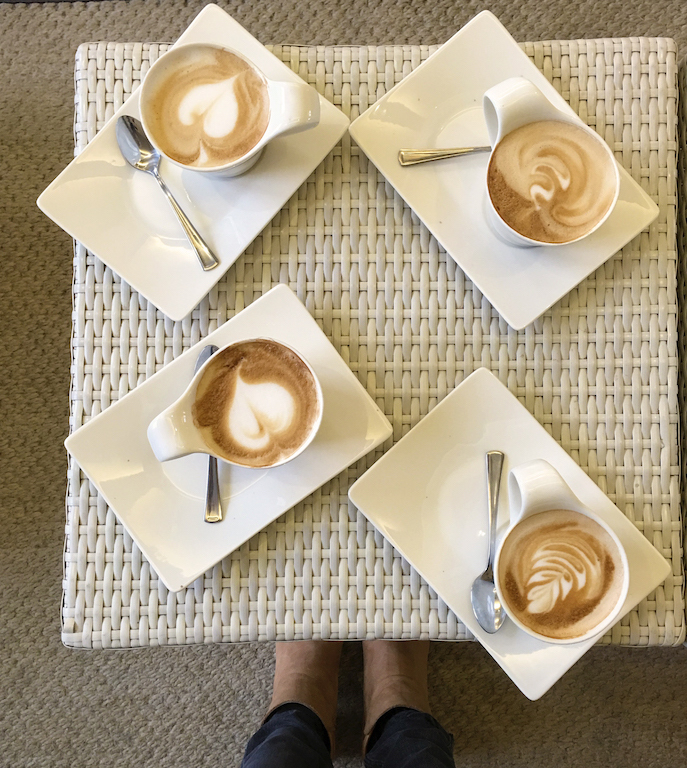 Tegolin and I had arranged to meet for coffee at one of our favourite coffee shops, but with the weather being so lovely, I suggested we grab a take away coffee and catch up on the beach! I can’t believe I get to do this. 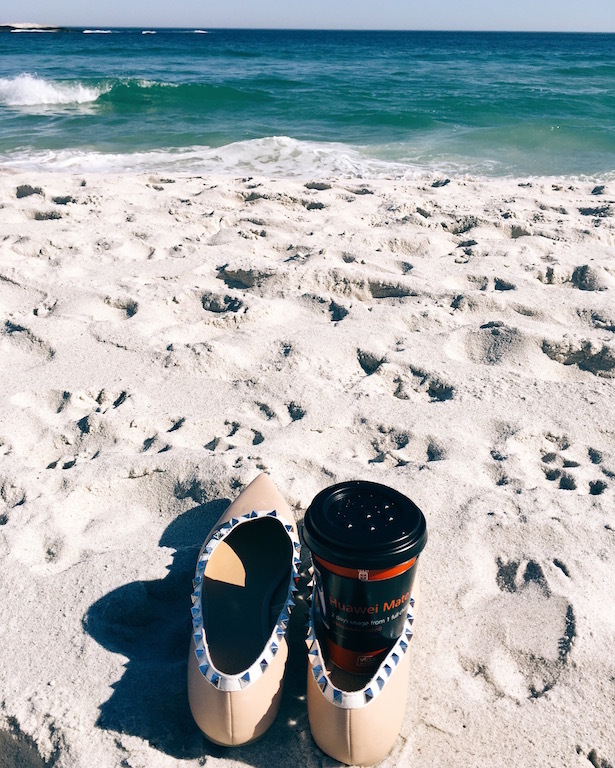 Instead of an hour meet up in a coffee shop, we did it on the beach, hearing the waves crash onto the shore, feeling the beach sand between our toes and catching up before heading back to work. It was wonderfully rejuvenating. Today is cold and rainy, so I’m glad we made the most of it. Thanks Cheryl! I love playing around and braids are my favourites! Hey! I’ve always loved playing with my hair and I feel like now that it’s at the length I want, I can really play! It’s fun! Thanks for reading! Happy anniversary (also the other one LOL)! And hello to Lucy! I cant imagine not having at least a small garden, so I can only imagine how happy you are to have her in your life.